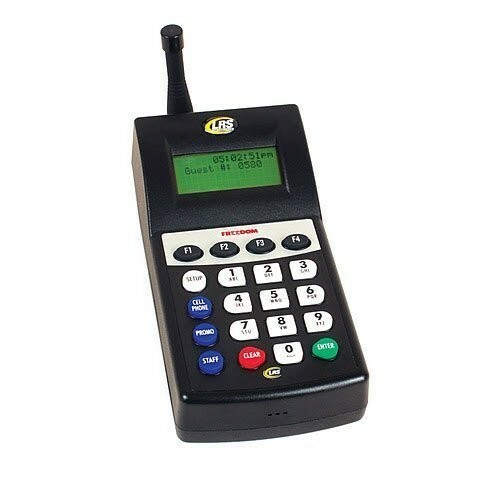 Combine cell phone messaging AND guest paging in our all-in-one advanced system! Notify guests the moment you are ready for them with either a vibrating/flashing pager, or by sending a text message directly to their cell phone! 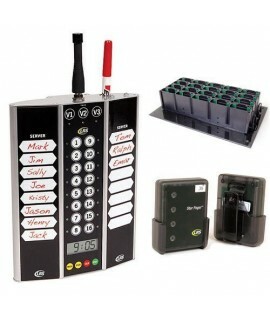 Simple to set up and easy to operate, this system will eliminate intrusive overhead paging. Create a calmer, more relaxed atmosphere for you and your guests. Enhance the customer experience, improve efficiency and increase revenue! 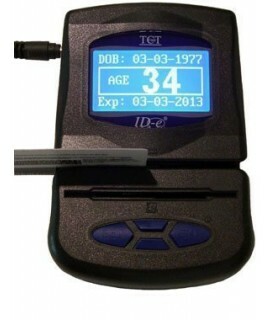 All-in-one Guest Pagers & Cell Phone Messaging*. Improves efficiency & reduces congestion. 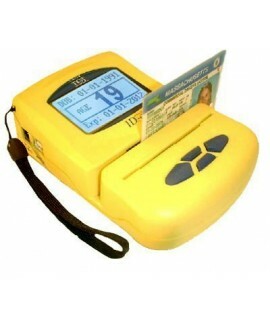 Comes with 5 Coaster Pagers included. Faster service results in more revenue! 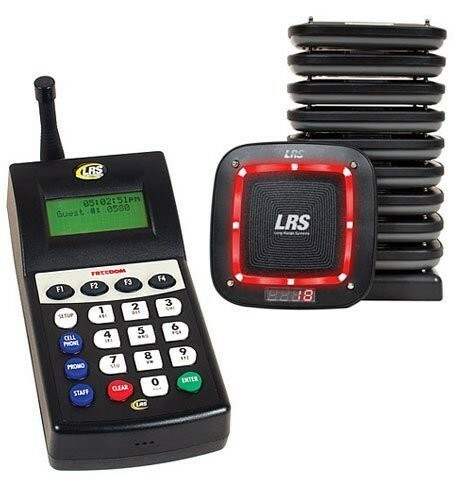 Our advanced guest paging system comes complete with the T7460 transmitter, your choice of the number of coaster pagers, the appropriate number of charging bases, and all power supplies. This ultimate solution combines the flexibility of BOTH text messaging* guests or the tradition coaster paging. 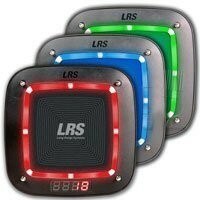 Ideal for restaurants, bars, salons, or any guest-oriented business. Simplicity is paramount….to notify a guest, press the pager number and select one of the 4 alerts to instantly text or page a guest. 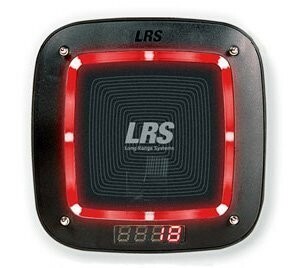 Now you can notify your guests faster, provide superior customer service and eliminate that annoying overhead paging. 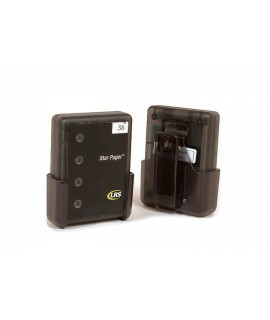 The system is compact and scalable, meaning that you can add additional pagers, at any time. The quality is superb, and we are pleased to offer our award winning 24/7/365 customer service, included at no additional charge. * Cell Phone messaging requires monthly subscription. 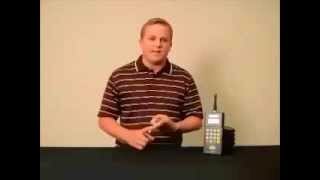 1 Way Cell Phone Texting or Voice Messaging (cell phone messaging requires a monthly fee). Pages up to 9,999 pagers. Easy-to-Read, 16 character by 4-line display. Wireless - No complicated wiring involved. 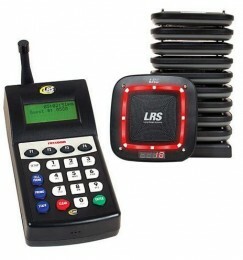 Scalable - Transmitters and pagers can be added at any time. I order these for my restaurant so they help eliminate the congestion.